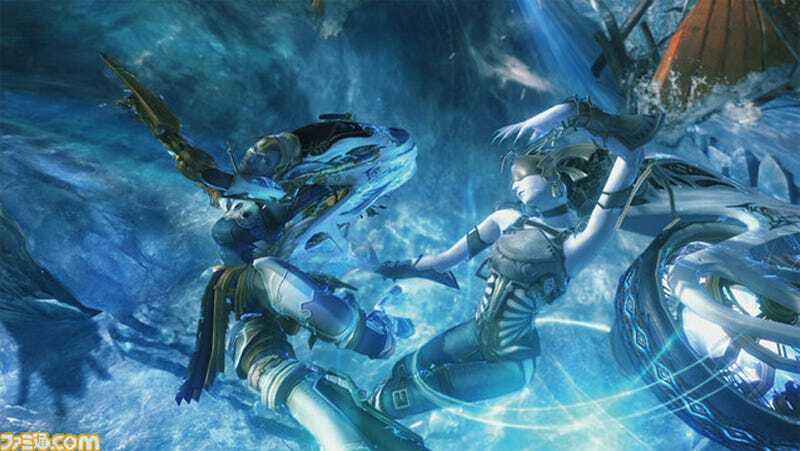 Here are new Final Fantasy XIII screens, which were previously on a Weekly Shonen Jump scan. We can see characters Snow and the Shiva twins. When summoned has the twins transform by dancing around each other, gently holding hands and spreading their legs and joining at the hips to create a motorcycle. Hot.